Take better control of your home or business’ lighting environment with the latest lighting and shading solutions from Cornerstone Electrical. 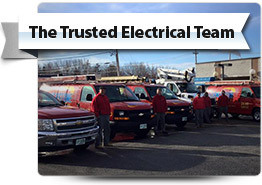 Our on-time professionalism and up-front prices have helped us become the trusted choice for thousands of residents and businesses across Southern New Hampshire & Northern Massachusetts and you can read some of their testimonials here and about our satisfaction guaranteed service here. 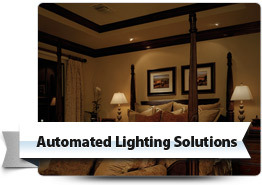 With Cornerstone Electrical automated lighting solutions you don’t have to return to an unlit home again. 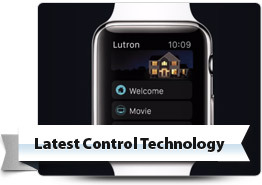 Our state of the art lighting technology allows you to pre-program your lighting and operate your home’s lights via cell phone, Apple Watch or online device. Automated lighting allows you to set the perfect mood in and around your home and features settings that can make your home appear occupied while you are out, increasing your home’s security. If you’re looking for ways to reduce your energy consumption and increase your level of comfort, then consider the automated shading solutions available from Cornerstone Electrical. 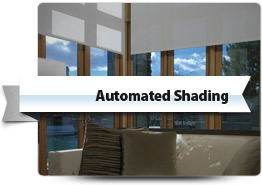 Automated shading allows you to program all your homes’ shades via remote control so you can shade specific windows, especially those with the most exposure to the sun or high windows, during different times of the day, even while you’re out. Shading is a natural way of keeping your home cool and helps reduce the work your air conditioner needs to do so you can also make great savings from monthly utility bills. We provide you with the full “Per Job” price in advance so you know the total cost of your automated lighting or shading solution. Cornerstone Electrical is fully licensed and insured so you can gain great peace of mind knowing that your electrical work has been performed by reputable experts. With Cornerstone Electrical you’ll enjoy a first-class level of customer service that we back with a satisfaction guarantee. For further information and professional installation for your lighting and shading solutions across Southern New Hampshire & Northern Massachusetts, call and speak with the electrical experts at Cornerstone Electrical today.